Whether you're looking for a recipe for a classic steak frites dinner or want to spice things up with a tangy chimichurri, these steak dishes are super tender and so easy to make. 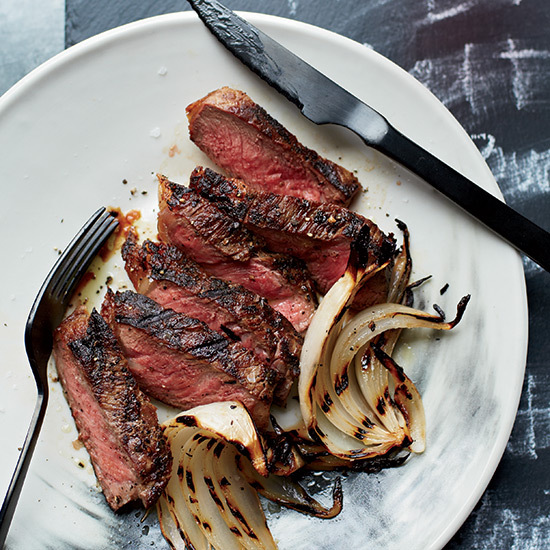 Here, our best strip steak recipes. 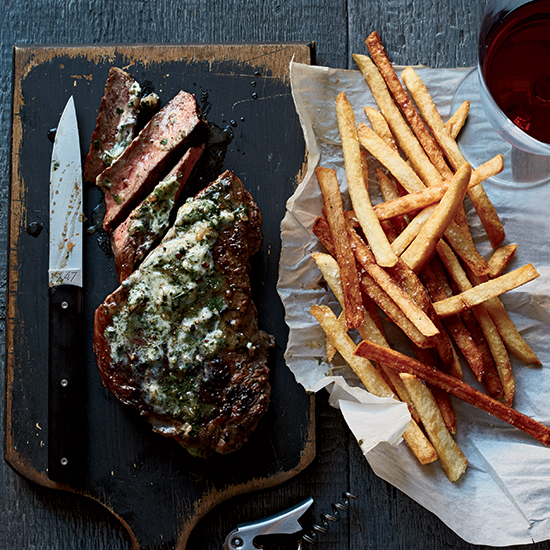 This brilliant take on steak frites is a specialty of chef Andrew Carmellini. He tops seared strip steaks with a butter infused with tarragon, shallots and vinegar--key ingredients in bearnaise sauce--and serves them with tangy French fries made with vinegar-brined potatoes. 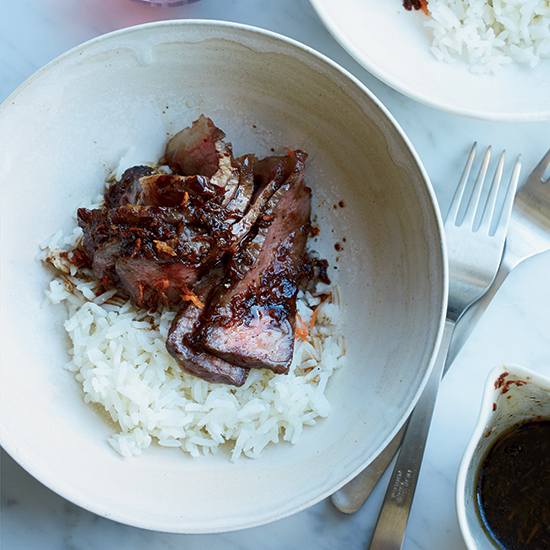 The simple Japanese sauce for these juicy steaks from chef Kuniko Yagi is garlicky and intense, with hints of sweet carrot. The chimichurri in this easy grilled New York strip steak recipe is a condiment and vegetable side all in one. Sliced green beans give the garlicky herb sauce extra crunch. "When Evan brings home steaks from the restaurant, this is exactly the dish he makes," says Sarah Rich about her husband and co-chef at San Francisco's Rich Table. 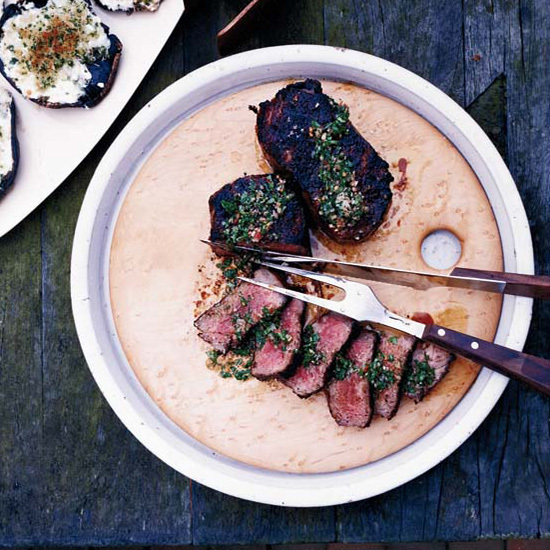 This steak recipe is great for parties because it can be cooked ahead of time. First the meat is cooked just to medium-rare, then rested. Just before serving, the steak goes back on the grill only until the surface is hot. To add a little extra flavor, rub an onion wedge on the grill grates before cooking the steak. 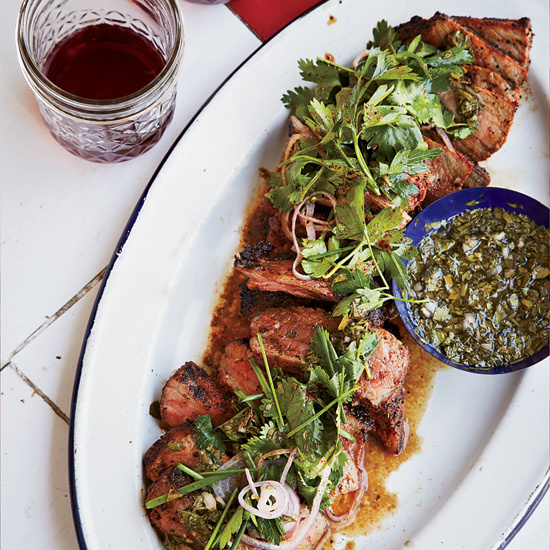 Chimichurri sauce, made with parsley, garlic and olive oil, is the ubiquitous accompaniment to grilled meats in Argentina; when serving steak, Laurent Tourondel often prefers its clean, sharp flavors to richer French sauces like bearnaise or red wine sauce. The tang of chimichurri is especially delicious with Tourondel's supersmoky steaks, seasoned with both smoked sea salt and smoked pepper.